If you have children under the age of 5 and you live in any of the Stockton zip codes, they can receive one FREE BOOK every month! More than one child? You can sign-up each child under the age of 5! Please allow at least 8 weeks for the first book to arrive. If you move, you must contact us to continue receiving books. Read to Me, Stockton! 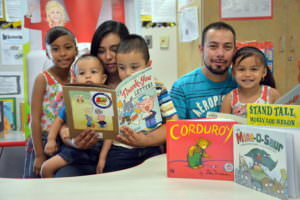 is an organization of community agencies who have worked together to bring Dolly Parton’s Imagination Library to Stockton. Children in the program get their very own book in the mail each month from the Dollywood Foundation!